Anyway, here is a new freebie for you guys today. I am not sure if the sample will be full sized or sample size but I requested it anyway. I also do not know when this one expires so if hair care samples are your thing, get your request in TODAY. 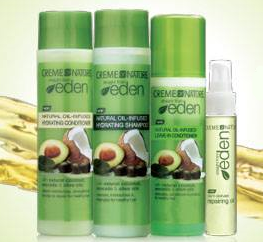 Get a FREE Full Size Creme of Nature Hair Care Kit by filling out a super easy form. You need to allow 4-8 weeks for delivery. Enjoy! !